Thirty people from across the country, representing the four major marine animal emergency response networks (Newfoundland & Labrador, the Maritime Provinces, Quebec and BC), the federal government (Fisheries and Oceans Canada and Parks Canada) and the province of Prince Edward Island, met in Charlottetown last week. In recent years, Canada has diminished its capacity to support these Networks and to respond to marine animal incidents. The purpose of this first ever national gathering was to evaluate Canada’s capacity to respond to incidents involving marine animals and identify opportunities to sustain and increase this capacity. Network’s group members respond to a variety of incidents involving marine animals (whales, seals, sea lions, sea turtles and sharks). Their goals are to assist animals that are entangled, beached, injured or otherwise in distress, as well as to gather valuable information from dead animals. 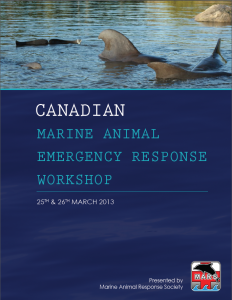 As a result of this meeting, a working group was formed to investigate the benefits of establishing a cooperative of response networks to improve Canada’s capacity to respond to marine animal incidents. 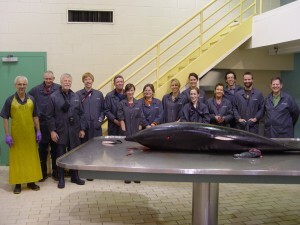 Canadians expect a response when animals are in trouble or carcasses are found. There are approximately 1000 marine animal incidents each year across our country. 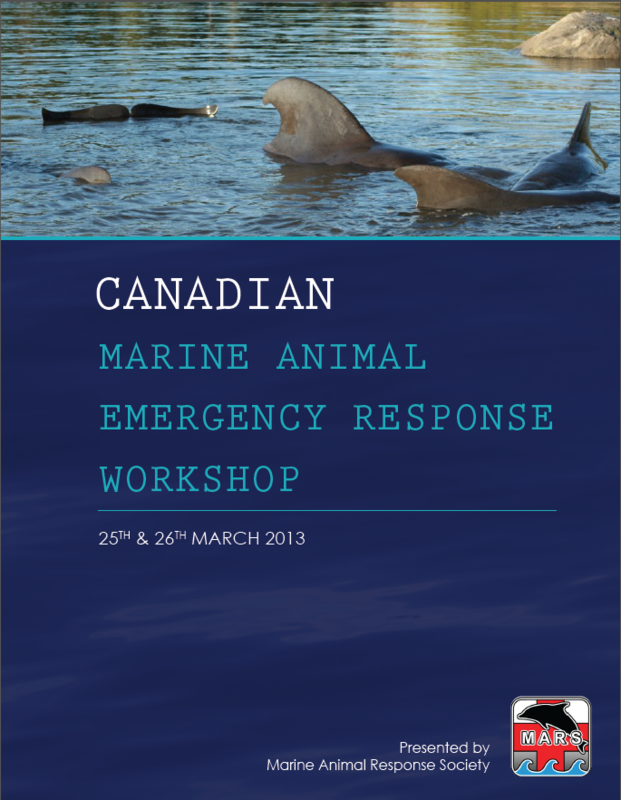 This workshop was organized by the Marine Animal Response Society with the support of the Government of Canada Habitat Stewardship Program for Species at Risk, the Canadian Wildlife Federation and The Donner Canadian Foundation. Members of the CCWHC actively participated in various aspects of the workshop including a necropsy demonstration conducted by pathologist Dr. Pierre-Yves Daoust.